The Department of Nursing honored spring graduates at the annual nursing recognition pinning ceremony May 6. The ceremony recognizes the graduating seniors’ successful completion of a rigorous academic and professional program. 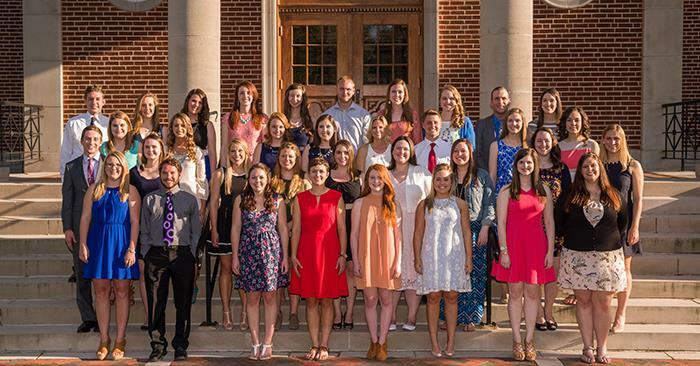 The graduates received Bachelor of Science in Nursing degrees during Truman commencement ceremonies May 7 and will become registered nurses after passing the NCLEX-RN examination. Pictured, first row, left to right: Alyssa O’Brien, Tyler Keane, Stacey Wolff, Samantha Daugherty, Brittney Siefker, Emily Jacob, Erin Cowling and Kaylee McCune. Second row: Alex Scherr, Ellen Hargrove, Nicole Skinner, Hannah Haywood, Rebecca Vadalabene, Olivia Lahman, Katheryn Baer, Alexis Schwald and Taylor Park. Third row: Rachel Drury, Trisha Rowe, Erin Butler, Victoria Holt, Erin Richeson, Grant Orr, Paige Allen and Hannah Hyer. Fourth row: Jacob Finke, Kristen Holwick, Katherine Bayer, Lauren Dwyer, Lindsey Vass, Tyler Sprigg, Megan Doerhoff, Lauren Darter, Justin Parker and Laura Dungan. Not pictured: Savanna Hughes and Austin Menichino. Members of the faculty and staff celebrating their retirement, 5th, 10th, 15th, 20th, 25th, 30th, 35th or 45th anniversaries of service to Truman were honored at the annual Service Recognition Luncheon May 12 in the Student Union Building Georgian Room. 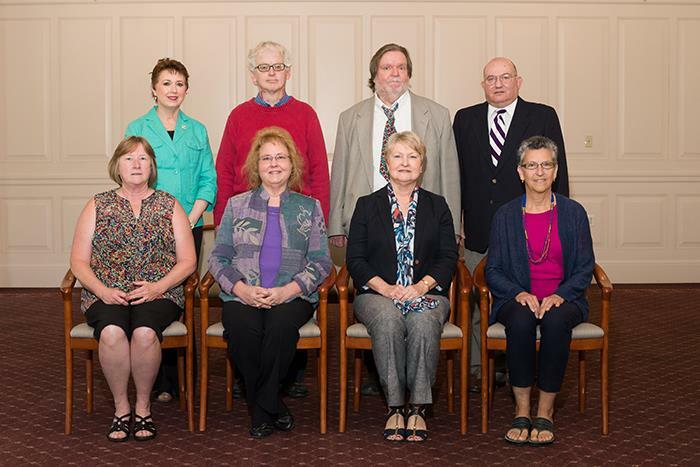 In the photo above are the 2015-16 retirees honored at the Service Recognition Luncheon. Seated, left to right: Paula Moore, Alanna Preussner, Melinda Maggart and Kathy Williams. 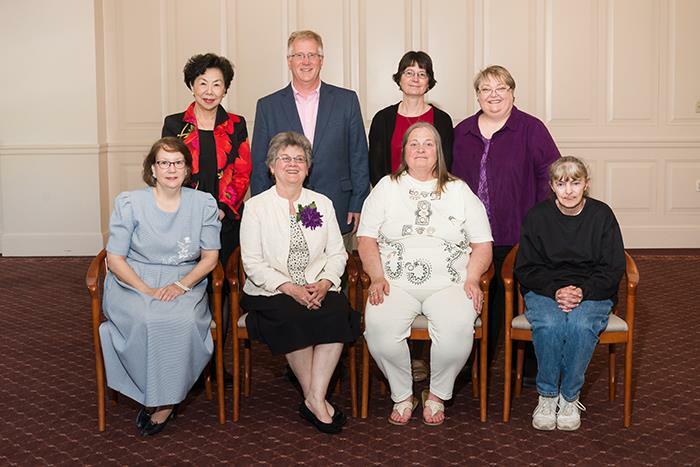 Back row, left to right: Julie Minn, Thomas Hueber, Susan Guffey and Paula Cochran. Not pictured: Gary Blurton, Barbara Burke, Elizabeth Delmonico, Paul Fellows, Jeff Gall, Rebecca Green, James Jereb, Gregory Jones, Robert Jones, David McCurdy, Brenda Moore, David Robinson and Steve Seward. 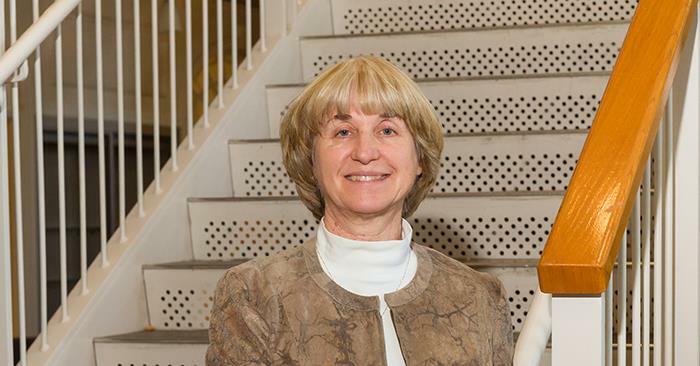 Melinda Hettinger was recognized for celebrating her 45th anniversary of service to Truman. 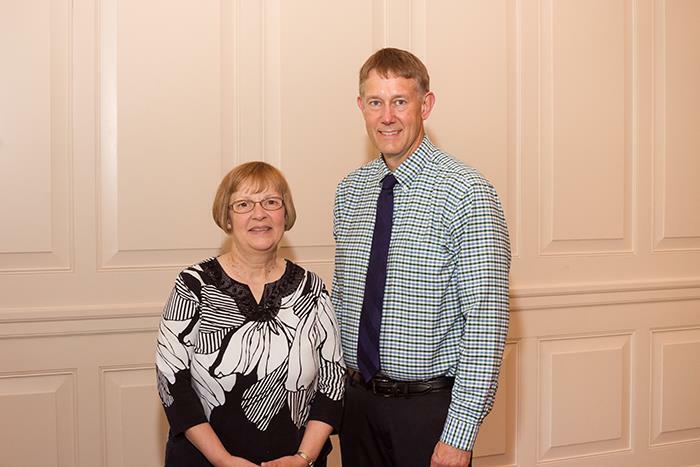 Kathy Elsea and John Dahlman were recognized for celebrating their 35th anniversaries of service to Truman. Pictured above are the 30-year honorees. Seated, left to right: Cheryl Miller, Donna Fude, Lucy Lee and María Di Stefano. Back row, left to right: Sharon Hackney, Steven Smith, Bob Mielke and Neil Gilchrist. Not pictured: Brad Chambers, Jason Lin, Deborah McCormick and David Partenheimer. Pictured above are the 25-year honorees. Seated, left to right: Heidi Templeton, Tracy Williams, Huping Ling, Rena Hays and Halley Miller. Back row, left to right: Gregg Siewert, Lori Murray, Ron Manning, Teresa West and Kyung Mun. 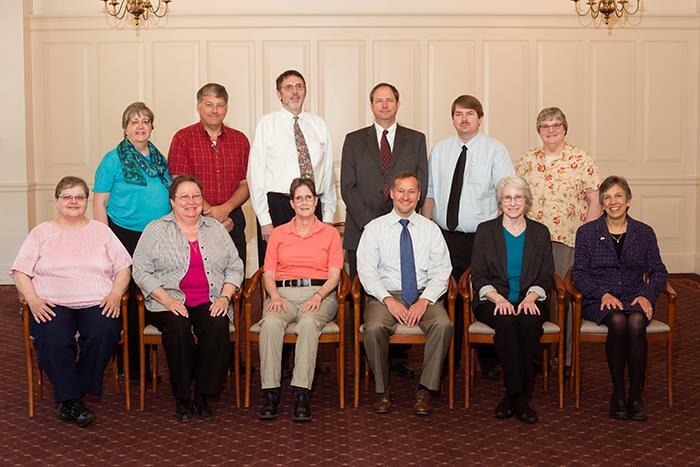 Not pictured: Joe Billington, Mark Hanley, Eric Howard, Tim Maize, Sara Orel, Cathy Sherrow and Mark Weidner. Pictured above are the 20-year honorees. Seated, left to right: Patricia Mickey, Judy Gooch, Cindy Tuggle, Robert Tigner, Diane Moore and Stephanie Powelson. Back row, left to right: Debbie Nothdurft, James McNabb, William Ashcraft, John Quinn, Darin Schnetzler and Susan Limestall. Not pictured: Anne Bergey, Mark Campbell, Lora Cunningham, Joyce Edwards, Stephanie Foré, Larry Kaestner, Shuan Klingsmith, Carla Line, Shirley McKamie, James Padfield and Kevin White. Pictured above are the 15-year honorees. Seated, left to right: Kasey Graves, Amber Johnson, Lori Allen, Sara Hass, Liz Lay and Katie Best. Back row, left to right: Terry Crook, Jimmy Whisenant, Peter Ramberg, Dean DeCock, Mike Elam, Katalina Bulen and Daisy Rearick. 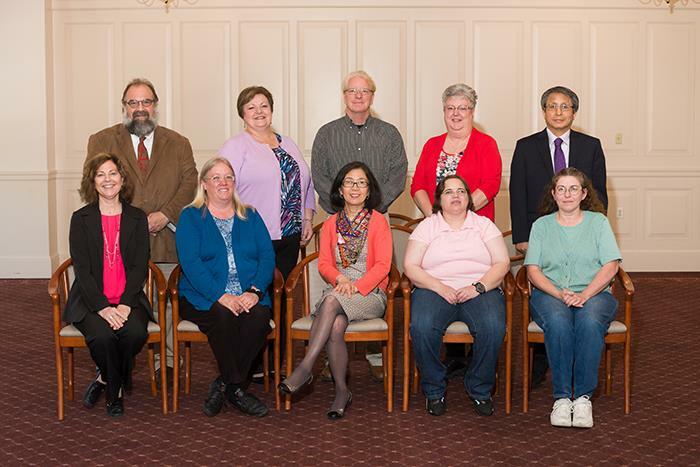 Not pictured: Xiaofen Chen, Jonathan Gering, Marsha Hall, Tina Hines, Walt Howd, Brandon Kaestner, Christina Kaestner, Robert Lowe, Elaine McDuff, Wendy Miner, Brent Orton, Sandra Rempe, Melissa Rodman and Jeffrey Vittengl. Pictured above are the 10-year honorees. Seated, left to right: Edward Rogers, Angela Carron, Lisa McDow and Marla Fernandez. 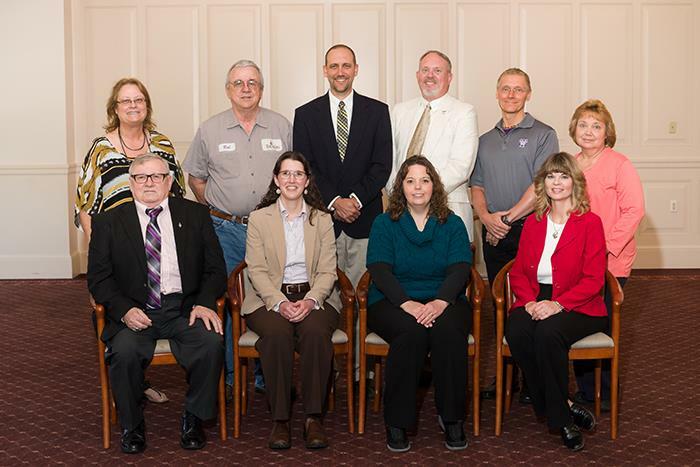 Back row, left to right: Leslie Motter, Robert Techau, Timothy Walston, Roger Marsh, Paul Yoder and Cynthia Roewe. Not pictured: Laura Bates, Marilyn Benner, Erin Brown, Angie Buck, Myra Collins, Daniel Davis, Mario Jaquez, Madeline Nash, Jerrin Primm, Leah Rehm, Tim Schwegler and Brian Shelton. Pictured above are the five-year honorees. Seated, left to right: Lindsey Blake, Terry Smith, Kenneth McKim and Kelly Evans. 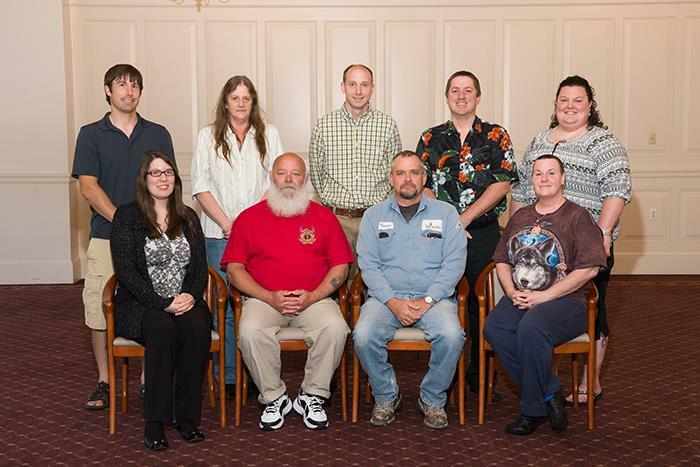 Back row, left to right: Brian Snyder, Linda Yearns, Dustin Howard, Eric Davis and Janine Whitt. 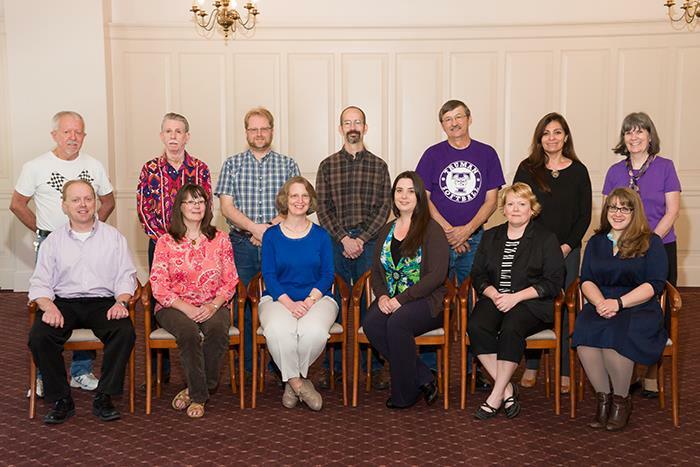 Not pictured: LaRoy Brandt, Thomas Brawner, Daniel Carpenter, Timothy Humphrey, Susan Lambert, Eileen Maggart, Shelly Miller, Amber Perkins, Christina Pinkerton, Edward Pretre, Lesley Rogers, Donovan Shafer, Stacy Simmons and Angela Stutsman. The President’s List, for students with a perfect 4.0 grade point average, can be accessed at truman.edu/honors/spring-2016-presidents-list. The Vice President for Academic Affairs’ List, featuring students with a grade point average between 3.50-3.99, can be found at truman.edu/honors/spring-2016-vice-president-academic-affairs-list. To qualify for either list, a student must be an undergraduate and complete at least 12 hours of credit during the semester. The list is organized by state and hometown. Hometowns are based upon the permanent address given to the University by the student. Students who have requested a directory hold on their information will not be included on a list. Any questions regarding student eligibility for either list can be directed to the Academic Affairs Office at 660.785.4105. Missouri Gov. Jay Nixon speaks in front of Greenwood Elementary School, June 7. 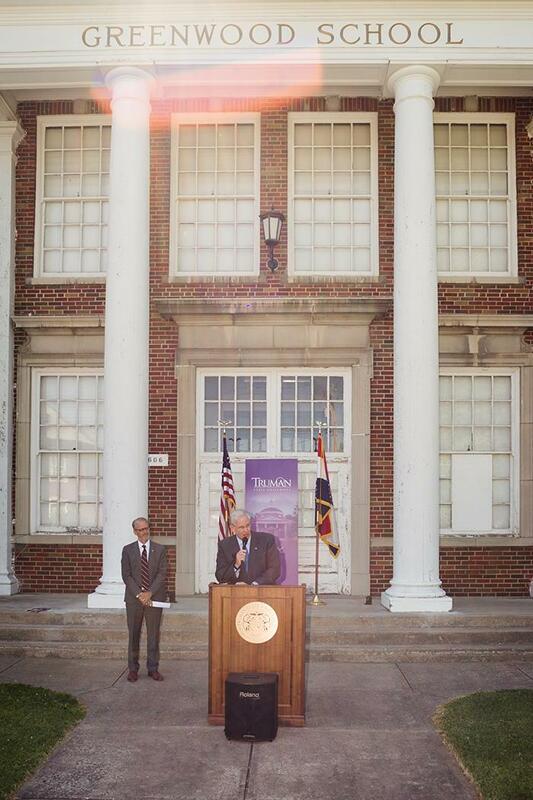 Nixon visited campus to announce funding to convert the former school into the region’s first autism clinic. Last fall, President Troy D. Paino proposed Greenwood be repurposed. During his remarks, Nixon noted that $5.5 million has been budgeted to renovate the historic building. 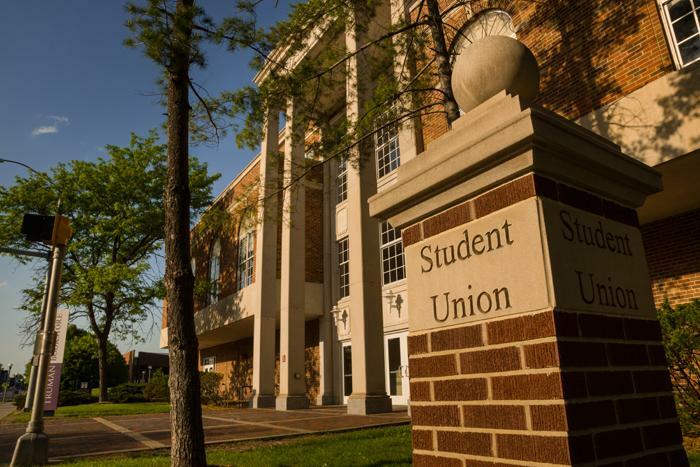 The Center for Student Involvement is seeking volunteers for freshman move-in day. 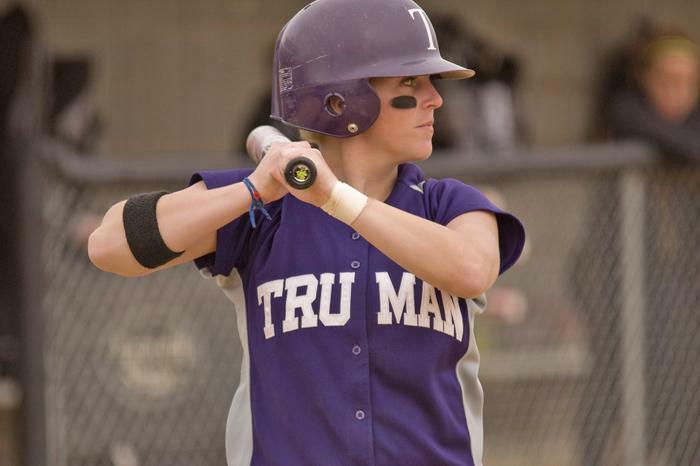 The Truman softball team will offer a pair of showcase camps for players entering grades nine through 12 during the months of June and July. The cost is $100 per date, with camps to be conducted June 14 and July 26 at the Truman softball field. The camp will run from 9 a.m.-5 p.m. and is open to 44 campers with position limits. Those limits are eight pitchers, catchers, corner infielders, middle infielders, outfielders and four utility players. To choose a date and register for camp, visit TrumanSoftballCamps.com. Join the Student Affairs Office in wishing Michelle well on her next journey to Cornell. There will be a reception from 4-7 p.m. June 17 at Jackson Stables honoring Jon Gering for his service as dean of Science and Mathematics. The Student Recreation Center will be closed July 2-4 for Independence Day holiday. The next issue for the Truman Today will be available June 27. Scott Fouch, professor emeritus of accounting and Accounting Department chair, and Stacey Kaden, assistant professor of accounting, had their paper entitled, “The Effect of Self-Employment Tax Minimization Strategies on Social Security Benefits,” accepted for August 2016 publication in Tax Notes. This $1,000 scholarship is open to incoming freshman. Applicants must be a current student and have a cumulative high school grade point average of at least 2.5 and must have taken either the ACT or SAT test. Applicants must also be a high school or home school senior graduating or earning a GED between Aug. 1, 2015 and July 31, 2016 and attending an accredited college or university by fall 2016 semester. Deadline to apply is June 14. Click here for details.